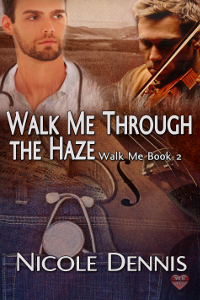 A doctor changes his life and meets an injured musician who alters all of his plans. Getting the hell out of Texas and an abusive relationship, Doctor Evan Sampson drove away without looking back, taking a chance with his uncle's clinic in small-town Montana. He can only hope things go better for him - professional and personal. Ending a successful tour run with the band, Joshua Holmwood tries to conceal the pain in his wrist from his 'brothers'. It doesn't work and he accepts how he needs a doctor. Upon reaching the ranch, coming home isn't all fun and games for the guys. While Sage receives bad news from the new doctor, Josh learns there is more to his injured wrist. At the same time, he doesn't conceal his interest from the doctor, who returns the same. When his injury turns tenfold, Doc Evan is again by his side. Josh hopes they can go from a patient-to-doctor relationship to a lover-to-lover one.